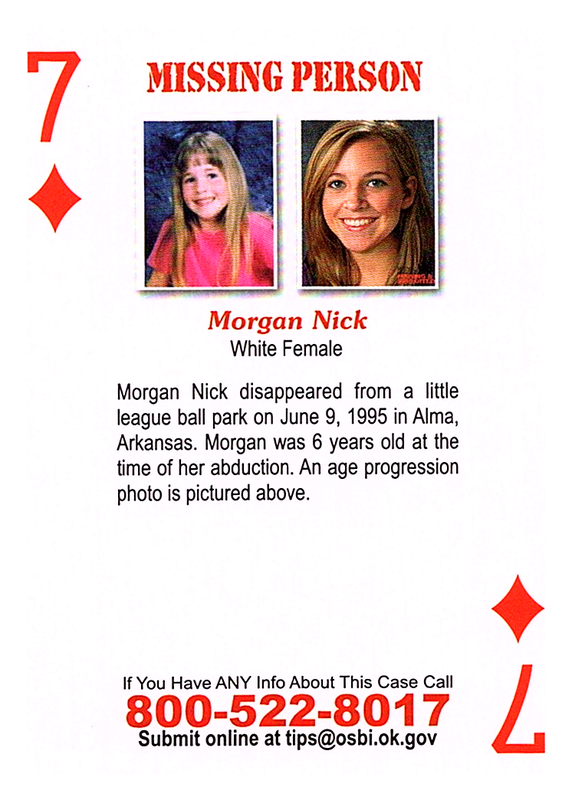 Morgan Nick disappeared from a little league ballpark on June 9, 1995, in Alma, Arkansas. Morgan was 6 years old at the time of her abduction. An age progression photo is pictured above.